Spring is here! And whether or not the temps have caught up where you are, book club meet-ups should be in full swing. If you’re stumped about what books to add to your spring roster, boy, have we got a list for you. From a sweeping historical romance to timely memoirs to dark humor, here are some picks you must not miss this season. From the bestselling author of GOOD GRIEF, Lolly Winston’s latest novel is capturing the hearts of book clubs everywhere. 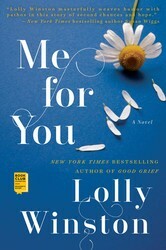 The March Book Club Favorites pick, ME FOR YOU is a humorous and sweet read about Rudy—a 54-year-old widower who’s just been laid off from his finance job. Lonely and jobless, Rudy copes by turning to his first love: the piano. Working as the piano player in a department store, Rudy meets Sasha, who works in the men’s watch section. As Rudy and Sasha’s relationship deepens, life becomes more complicated than the two could have ever imagined. WELCOME TO LAGOS was a Belletrist pick back in May of 2018 and with good reason. This tale of a band of runaways in contemporary Nigeria is full of humor, innocence, corruption, and interesting characters. It all begins with Chike, an army officer who abandons his post when tasked with killing innocent civilians. He’s joined by his junior officer Yemi, an aspiring DJ, a teen whose father has been killed by rebels, and a beautiful woman escaping an abusive marriage. Altogether these misfits pursue a life away from the lives they once knew into the bustling and overcrowded streets of Lagos, Nigeria. Hollywood. Scandal. Intrigue. Betrayal. From one of our favorite voices in fiction, this gossipy novel must be discussed in and out of book club. It follows Evelyn Hugo, a mysterious figure and classic film star who disappeared from public life years ago. There’s been tabloid coverage and countless movies, but no one knows her real story. That is, until Evelyn summons a young journalist to listen to her and report the truth. This is an unexpected epic love story steeped in old-Hollywood glamour. 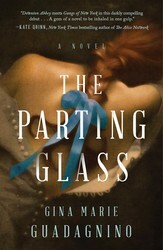 This upstairs/downstairs historical novel is a must-read this spring. Mary Ballard is Charlotte Walden’s maid—whom she loves with an obsessive passion that goes beyond any servant’s devotion. But Mary’s secrets could ruin her relationship with Charlotte—one of the most sought-after debutantes in nineteenth-century New York. The secrets don’t stop with Mary however, because Charlotte has a secret of her own. For fans of CIRCLING THE SUN and THE PARIS WIFE, Paula McClain’s latest novel is just as sweeping and engrossing. It’s 1937 and Martha Gellhorn is alone in Madrid reporting on the atrocities of the Spanish Civil War. On the road to proving herself a worthy journalist, Martha meets a young writer named Ernest Hemingway and unexpectedly falls in love with him. This historical novel has all the makings of a book club pick—an ambitious female protagonist, a WWII backdrop, and a love story for the ages. Sarah Smarsh’s memoir HEARTLAND—a finalist for the National Book Award—is an eye-opening look into what it means to be of the working-class poor population in America. Smarsh, a fifth-generation Kansas wheat farmer and a product of generations of teen mothers, shares her experiences growing up in the heartland of America. A beautifully written memoir that combines personal narrative with powerful analysis and cultural commentary, HEARTLAND examines the myths about people thought to be less because they earn less. Does your book club love Barbara Kingsolver? How about Karen Russell? Then this Reese Witherspoon x Hello Sunshine Book Club pick is your next point of discussion. Kya Clark—known by her community as the mysterious and haunting Marsh Girl—lives alone but comes out of hiding yearning for human contact. When a local man is found dead, residents immediately suspect Kya had something to do with it. A heartbreaking coming-of-age story, WHERE THE CRAWDADS SING reminds us that we are all subject to the beautiful and violent secrets that nature keeps. Fans of Colson Whitehead’s Pulitzer Prize–winning work THE UNDERGROUND RAILROAD will devour Esi Edugyan’s enthralling debut novel. Wash—full name, George Washington Black—is an 11-year-old slave on a sugar plantation in Barbados who is chosen by his master’s brother to be his manservant. As it turns out, Christopher Wilde is a naturalist, explorer, inventor, and abolitionist—and Wash is in for a life-changing experience. Wash enjoys a life of relative freedom, traveling the world by hot air balloon, but when a man is killed and a bounty placed on Wash’s head, Christopher and Wash journey along the eastern coast of America to a remote outpost in the Arctic. A dazzling story of self-invention, betrayal, love, and redemption, WASHINGTON BLACK explores the meaning of true freedom. 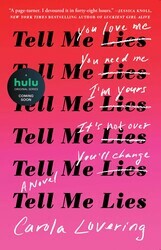 A novel with a twisted love story like the one in Carola Lovering’s novel TELL ME LIES will surely keep the conversation going in your book club meet-up. Leaving behind an estranged mother and her Long Island upbringing, Lucy Albright arrives at her small California college ready for a fresh start. Then she meets him—charming, complicated, and ultimately devastating Stephen DeMarco. Lucy is taken with Stephen though something about him is not to be trusted. TELL ME LIES follows Stephen and Lucy’s complicated relationship through college and their post-college lives in New York City.